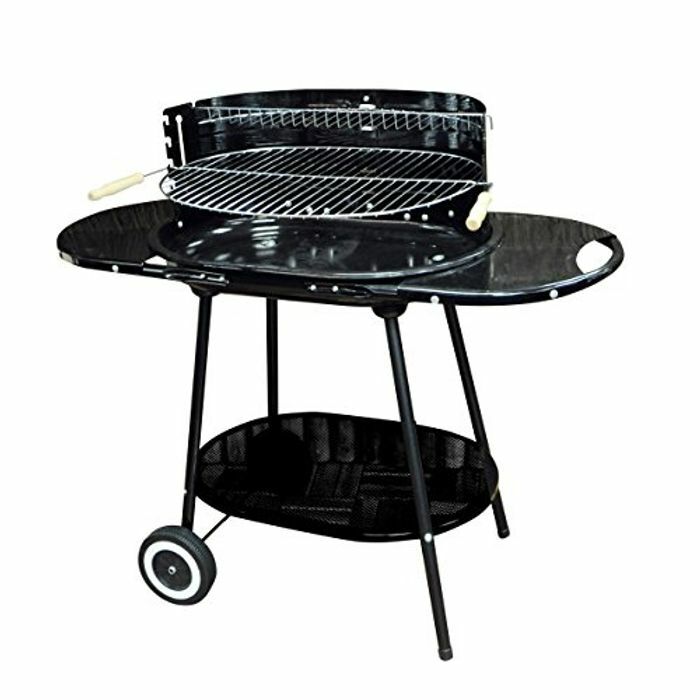 Steel oval trolley BBQ. Includes 4 position cooking grid (55cmx40cm oval), top warming shelf, integral bottom storage shelf, two side shelves. H86cmxW1mxD40cm.